When you think syringes, you may be thinking of something else. You may associate the term syringes with the opioid epidemic or Schedule I drugs with rampant addictive properties. However, cannabis oil syringes (aka applicators) are very different. Learn about the benefits of cannabis oil syringes and applicators and how different they are from intravenously consumed drugs. What Are Cannabis Oil Syringes? With various ways cannabis is consumed or carried (e.g. prerolls, concentrates, et al), syringes provide a specific container to allow for accurate dosing. Why choose this particular method of consumption? Despite the syringe association, this application method is far from the same thing. Often, some users prefer the term applicator in place of the word “syringe.” It’s also called applicator because of the device at the tip. While some opt to remove this portion, the term still applies. Back to the benefits. With the cannabis applicator, you have a access to a variety of volumes, and therefore, can dispense at different volumes as needed. Another benefit comes from the fact that little oil is lost in the actual application process. This is indeed a cause to celebrate because of how oil thins and its residual tendencies. When you buy and use the cannabis oil syringe, you get all of the oil in the portions you want. Now that you’ve learned the benefits of the marijuana applicator, see which to try first and to pick up at your local dispensary. RSO – Popular because of its namesake engineer and its seemingly miraculous effects, Rick Simpson Oil offers a myriad of benefits from potentially helping with mental illness and different types of cancer. THC Raw – This cannabis product is as much as its name implies. 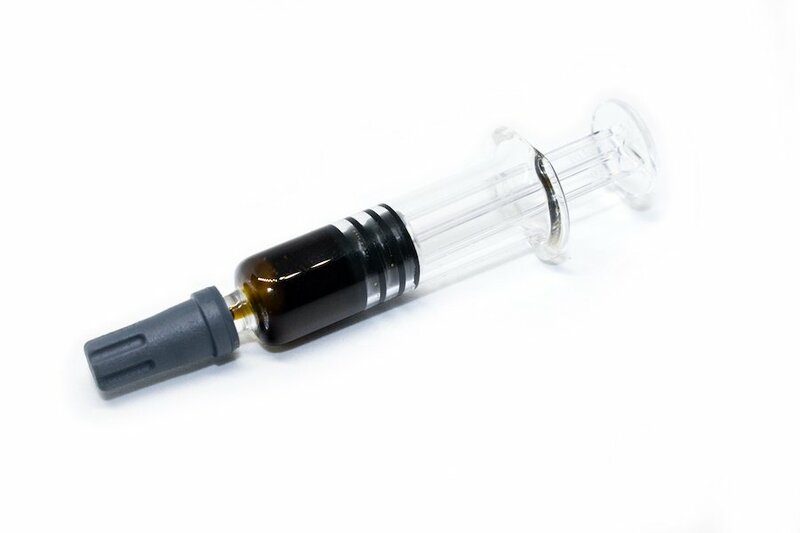 Highly potent with THC, this syringe may help treat serious medical conditions. You can add it to edibles or your skin. Whether you’re looking for strong treatments or alternative consumption methods, our budtenders take a lot of pride in finding the wellness option for you. Ask about our ongoing dispensary deals and discounts too!